Discussion of demography traditionally has focused on the consequences of population growth. In the talk, Prof Gietel-Basten will share his insights on how our understanding of demographics can influence politics and populations. He will also suggest how humans can take greater ownership of the future by a better understanding of the role demography has played in the past. HLTH1010 HKUST students may attain 1.0 hour credit for the Healthy Lifestyle Course after attending the seminar. 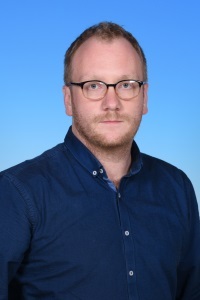 Prof Stuart Gietel-Basten is Associate Director of the Leadership and Public Policy Executive Education Program, and an Associate Professor of Department of Social Science and Institute for Public Policy at HKUST. His research covers the links between population and policy, with a regional focus on Asia. He is especially interested in the emergence of low fertility across the region, and the consequences of this in terms of population ageing and growth. He has been published in a number of major journals in demography and other social science subjects. Why Demography matters (co-written with Danny Dorling) is his first book. He is also a regular contributor to the South China Morning Post and the China Daily. He received his education at the University of Cambridge, with a PhD in historical demography. Before coming to HKUST, he was an Associate Professor of Social Policy at the University of Oxford. He has also been an adviser in Population and Development at the UK Parliamentary Office for Science and Technology and a Research Scholar at the International Institute of Applied Systems Analysis in Austria.